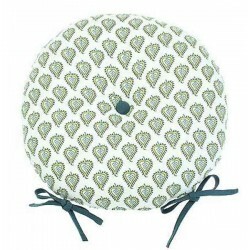 Les Indiennes round seat pad with ties. 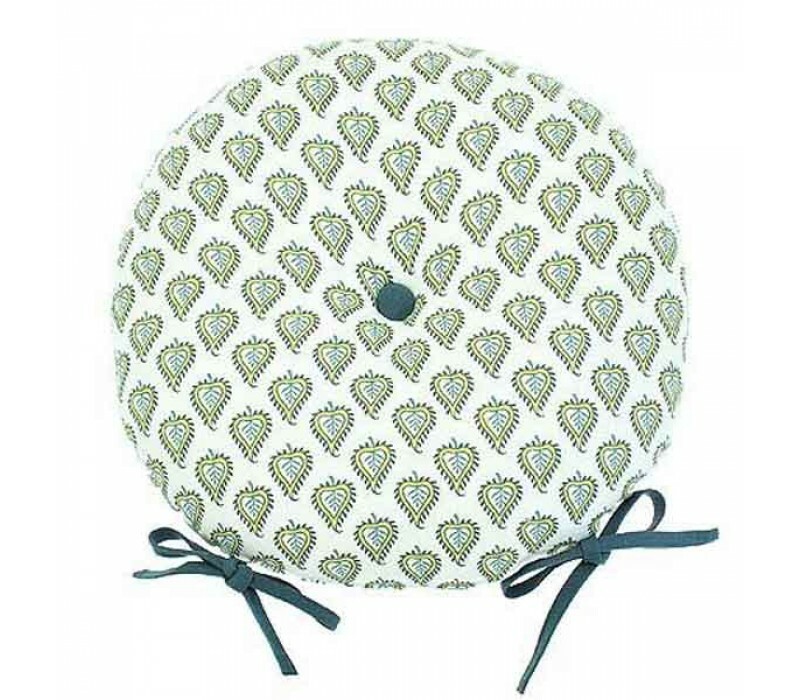 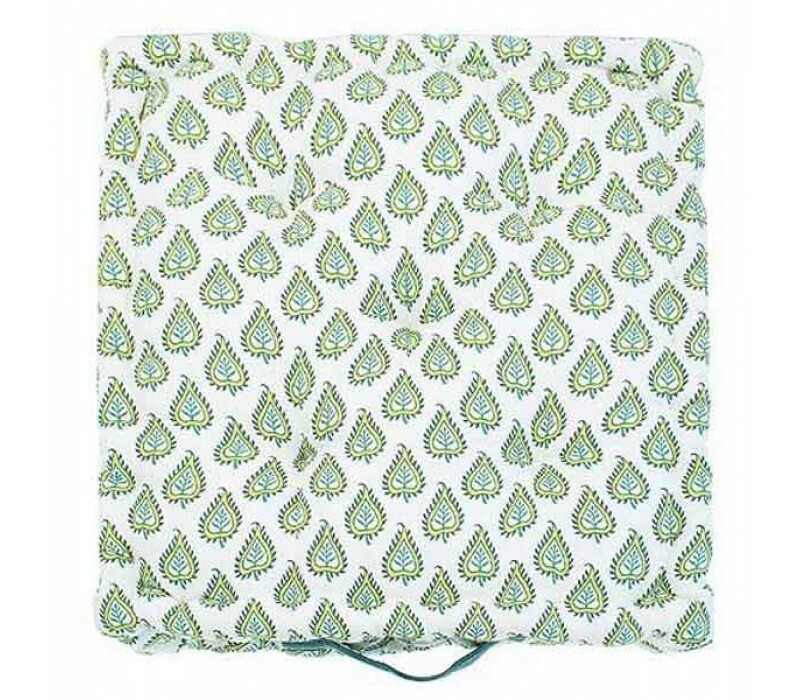 A wood block inpsired print on 100% porcelain coloured cotton features cool lagoon shades. 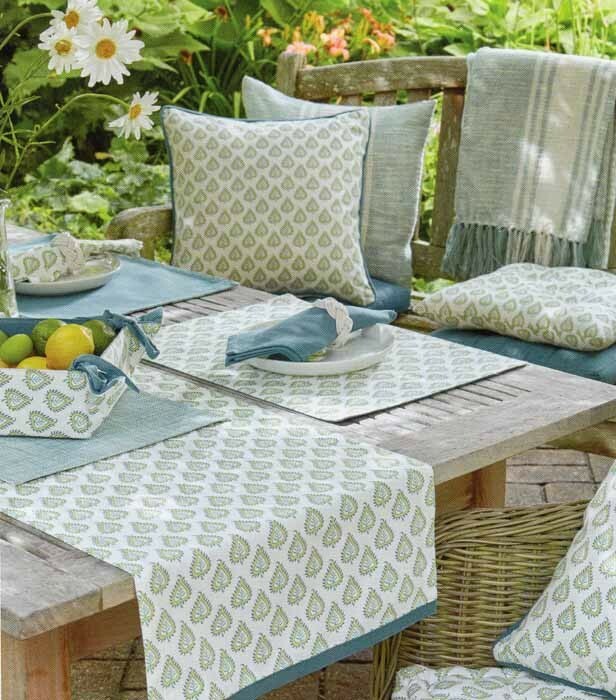 Styled with plains and indoor/outdoorwoven placemats for a fresh summer look.